This Tuesday saw the Digital Champion Awards ceremony which took place at the new Museum of Liverpool on the Waterfront. GTDT has been working hard to help local people get online and we were delighted that this was recognised at the awards which were handed out by Martha Lane Fox (the UK's Digital Champion) and Cllr Nick Small. 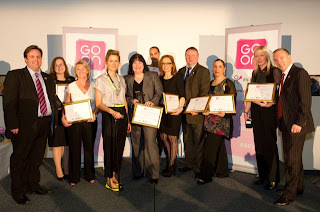 The Go ON it's Liverpool campaign has been incredibly successful at helping thousands of people across Liverpool to get online, gaining access to information, services and jobs. We are pleased that the work of our UKonline Centre on Lodge Lane has been recognised in this way.